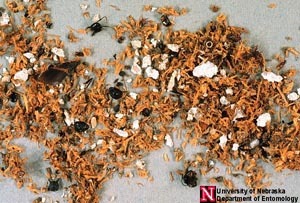 We’ve dealt with Minneapolis, MN pests for more than 15 years. There are enough bad things in the environment without adding to them with toxic pest control methods that harm you, your children, or your pets. Our goal is to provide effective pest control, free from toxic chemicals. We pride ourselves on being reliable, honest, prompt, and thorough. Your satisfaction is a top priority and we backup our service with a four-year warranty for all our pest control plans, so you know we believe in what we do. We use natural pest control treatments instead of toxic poisons to rid your home or business of all sorts of pests, including beetles, ants, roaches, millipedes, silver fish, spiders, wasps, and more. However, what good does it do to remove the pests if the reasons they came into your home remain? We can also repair damage caused by the pests and we inspect your home for entry points and work with you to pest-proof your property. We then backup our service with a four year warranty to keep your mind at ease for quite some time. We also humanely remove wild animals from your home or business, and do the same repair and inspection to protect your home or office after removal. So if you live in Minneapolis, MN and are in need of pest control, count on the effective pest control services of Eco Tech. We are familiar with the pests in this area, and have the know-how and experience to rid them from your home or business. For more information about pest control, or to set up appointment, call us at 763-785-1414 today. For emergency service, call 763-232-7296!